There are many line interface modules like the Alcatel-Lucent Stinger that support a wide range of standards, old and new. The Alcatel-Lucent Stinger LIMs use ADSL, ADSL2+ and related line protocols. Please note that the line itself originated before ADSL2+ protocols, so legacy Stingers on your network may not support the new systems you need. Make sure you’re protected by ordering a new line of refurbished Alcatel-Lucent Stinger modules that work with ADSL2+ technologies as well as other new capabilities based on the TAOS software they support. Each Alcatel-Lucent Stinger is an asymmetric digital subscriber line Annex-A LIM and supports high-speed asymmetric data interfaces and transfers using ANSI DMT. There are four types of Alcatel-Lucent Stinger LLIMS that work with a variety of ADSL configurations. Your options include models that offer standard ADSL Annex A LIMs with ADSL2+ capabilities, enhanced LIM cards with newer processors to support additional IP features and high-bandwidth Alcatel-Lucent Stinger LIMs that have a smarter control module and support greater bandwidth caps. In each of these refurbished Alcatel-Lucent Stinger LIMs, you will not need a separate line production module. Expanding the categories below will show you a wide range of Alcatel-Lucent Stinger LIMs as well as parts and components. Information is available on each, and getting a quote on your need is as simple as clicking the button below. However, if you’re unsure about which Alcatel-Lucent Stingers support your specific needs, we recommend you contact us with the form on the right side of this page. It’ll get you right to our experts, who can assist with understanding your network, needs and which equipment will best fit. Need Help With a Refurbished Alcatel-Lucent Stinger? Worldwide Supply offers fully trained technicians and service professionals who can ensure you’re getting the right used or refurbished Alcatel-Lucent Stinger LIMs based on your network needs. 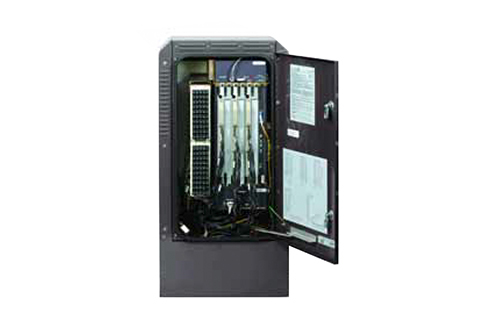 All refurbished Alcatel-Lucent Stingers are brought up to original OEM standards by our certified experts. Each is reviewed for damage, repaired and then tested in real-world conditions within our in-house lab. Line interface modules are tested to ensure they work with each covered protocol and support inclusion in standalone and hosted deployments. Our mission is to ensure you can use equipment however you need to. So, a refurbished Alcatel-Lucent Stinger from Worldwide Supply supports efforts to provision and manage up to five cascaded Stingers as a single hosted system with a single management interface. We check ATM trunk interfaces and more so you can depend on the quality and longevity starting immediately. Selecting a DSLAM Stinger from our refurbished line can save you up to 80% off OEM pricing. Stretch your budget further with a smart choice that’s guaranteed to be useful and reliable. It allows you to browse the rest of our selection and pick up any other items you might need to scale, provide edge services or more. Contact us at the link above right away, or use the menu items below to learn more about our product selection before you make your decision.